Makin' it in Memphis: Front Bathroom Window Fabric. 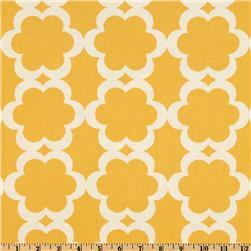 Buying my new print for the front bathroom got me thinking about fabric for the window. As I blogged about here, currently I've got a sand colored silk window treatment and I want to try to make a "mistreatment" of some sort involving a tension rod, some hot glue, and maybe even my sewing machine. Perhaps I'll order a sample swatch of each... decisions, decisions. But I'm really loving the last two - in particular the last one. What do you think? I like the first one! I think that's a great color of yellow and the print is really cool! You could do a lot with this one even if you changed the drizzle to something else! Naturally, all are cute though! LOVE the pic of your kitty in the sink with his paws hanging out....too cute!! Budget Eating: 10 for 2 is still going strong. Lusting after "the Help" sets.